AND FINALLY: What is Generation Y? Starting on 1 April, Air France will offer 16 new destinations from Toulouse in Europe and the Mediterranean, in addition to the 12 existing points. Istanbul, Prague and Tunis are amongst the new routes. As from 3 April Air France will offer six new destinations from Nice, including Barcelona, Istanbul and Tel Aviv. Air France is taking the encroachment of the low-cost airlines very seriously. On board, passengers will be able to enjoy a free drink and snack, a selection of French and foreign newspapers available free of charge at the boarding gate, one piece of checked baggage in the hold and one piece of cabin baggage, online check-in and choice of seat. Kempinski has opened its first hotel in Austria at the tiny village of Kitzbühel, famous for skiing, just in time for the year-end holiday period and the start of the sports season. 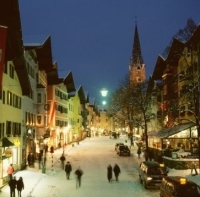 Kitzbühel is about 100km east of Innsbruck, the nearest large town and the only 5-star-hotel in the region. The property offers 118 superior double rooms, 13 junior suites, 16 suites and one Penthouse suite. Two dining areas with distinctive menus are available, the Steinberg and the Sra Bua by Wini Bruggerrestaurants. Down-to-earth cuisine from the Tyrolean mountains and Asian favourites set the tone for dining. 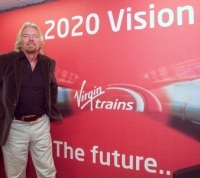 Sir Richard Branson last week set out his vision for continuing growth for rail travel in the UK as Virgin Trains welcomed record numbers of passengers and made an emphatic plea to retain the West Coast franchise. Virgin Trains is expected to carry 30 million customers in the current year, more than doubling numbers in seven years. Initial work has started on a new 583-bedroom, six-storey hotel at Heathrow following approval by the local authority. Located opposite Hatton Cross tube station, the hotel will likely be of interest to budget and mid-market operators. Negotiations are said to under way due to the high levels of occupancy possible all year round with an 18-month target date for completion. “This decision to grant planning consent provides a massive boost to hotel capacity at Heathrow in a micro-location under-supplied with hotels,” said Martin Drage, Director of letting agent Mason Drage Ltd. The hotel has 131 car parking spaces. 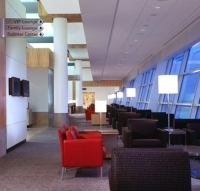 The site was acquired from airline caterer Gate Gourmet in December 2009. 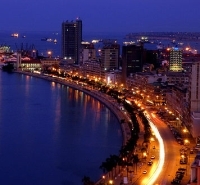 Luanda is the latest destination for Iberia, the route also connecting through Madrid with IAG partner British Airways to Heathrow and a further 100+ points throughout Europe. The first-ever air link to Luanda from Spain and the UK is expected to enhance trade relations with Angola, whose GDP has grown more than 10% during the last decade. A one time colony of Portugal, the west African country suffered a civil war from 1975–2002, but has in recent times made tremendous progress. The population of Luanda is now thought to be in access of 5m. 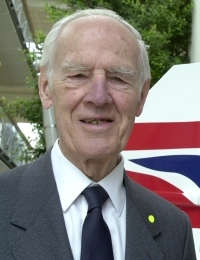 With the passing last week of Sir Ross Stainton (97) goes the last significant link with Imperial Airways, an airline he joined in 1933. With its successors he was to stay for 48 years. He retired as Chairman of British Airways in 1981 having introduced Concorde. In later years he always took an interest in airline matters and was recently the guest of a less elderly group of BEA, BOAC and BA veterans. Oman Air has started a four times per week service between Muscat and Zurich, its sixth European destination. It is the first time that Oman has been linked to Switzerland with non-stop flights. A two-class Airbus A330 provides the operation, the same layout as used on the Oman – Bangkok route. Your Editor, a man full of vigour but rapidly approaching a somewhat significant birthday, was confronted recently by a contributor's copy mentioning the Y Generation covering the highly successful EIBTM show in Barcelona. Now he found out about Google years ago, knows all about Facebook (he's seen the film) and is inundated with people who want to 'LinkedIn'. Blogging he is aware of too, but does not have the time, The less said about Twitter and Tweets the better! According to Wikipedia, which has replaced Encyclopaedia Britannica as the fountain of all knowledge, Generation Y is next after Generation X, which is something to do with Baby Boomers. What happens after Generation Z we are not sure? Your Editor was a War Baby (WWII), maybe Generation W.
In any event Mr Jimmy Wales (founder of Wikipedia) and his world wide crew seem to think that Generation Y is marked by increased use and familiarity with communications, media, and digital technologies which is a little unfair on the rest of us who have been using virtually all these skills (except digital perhaps) since the beginning. William Shakespeare was keen on written PR and the social hub. And many before. It may have some serious troubles as far as the ‘back office’ is concerned but American Airlines seems to be pulling out all the stops with regard to keeping its passengers happy. Last week the airline announced details of its 777-300 plans and now we learn it is to extend its popular Five Star Service internationally. American Airlines clients can now “travel like a star”, at Heathrow the service providing personal one-on-one airport assistance designed to make travelling hassle-free. 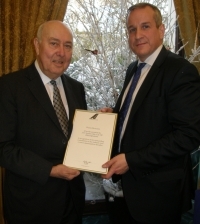 Danny Bernstein, the former Chairman and Managing Director of Monarch Airlines, was presented with the 2011 Aviation Club Fellowship at a luncheon last week. 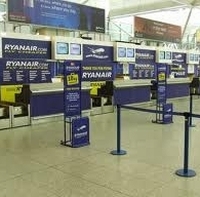 Already established as the world’s most annoying airline Ryanair seems to be going out of its way to financially catch out unwary passengers. No press release has been put out but for Christmas and other “peak travel periods” (June, July, August, September and “Christmas”) the hold luggage charge goes up to £25 per bag for a paltry 15kg. £15 per kg is the charge for overweight. From January the penalty for forgetting to print out your boarding pass soars to £60. In a ‘ticketless travel’ the fee for a family of four forgetting the paperwork would be £240 per sector. In a cynical remark a competitor noted that people had been known to go to jail for extortion with less funds involved. Online checked baggage fees outside of peak travel periods will remain at £15 per bag and the limit for cabin baggage is 10kg encouraging the use of flimsy paper bags. easyJet does not have a cabin baggage limit as such. With more than 110 hotels under development in Europe alone Hilton Worldwide says it is bucking the trend and recruiting strongly. It says it will create more than 8,500 employment opportunities in Europe in the next three years. An additional 2,500 hospitality careers will be safeguarded through the conversion of existing hotels to Hilton Worldwide brands. It is focussing on Germany, Poland, Russia, Turkey and the UK. In Russia alone 25 new hotels are due to open in the next three years. Kel Ryan, brother of the late Tony Ryan, founder of the iniquitous airline of the same name, and an Aviation Club regular, posed a tough question to Antonio Vázquez at the club’s luncheon last week. Vázquez took it in his stride. 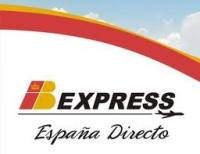 “We have had a very good experience with Vueling and the original clickair (back in 2004) and we know what we are doing. The important thing is that we have to start with a new set of employment rules and we need to do this as we face more competition from the low-cost carriers and from the high-speed trains. Clickair founder and current Vueling boss Alex Cruz sat opposite Vázquez at the lunch and came in for praise by the IAL Chairman. 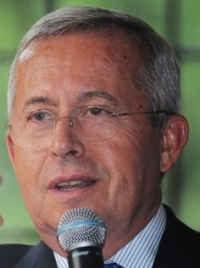 “Iberia’s current high cost structure means that its short haul pilots earn more than British Airways pilots flying long haul routes,” said Vázquez. 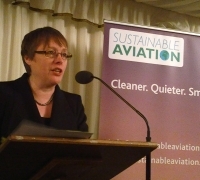 The House of Commons was the venue for the 2011 “Sustainable Aviation” progress report 2011. The lobby group is supported by most British airlines and is under the umbrella of the Airport Operators Association. 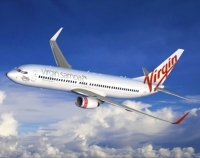 NATS and a whole host of aerospace and aviation companies are also among its supporters. Maria Eagles, Shadow Transport Secretary, represented the Opposition and gave a fine positive speech saying that the industry had to work across all parliamentary divisions. The Government was not represented (see above). The 2011 report runs to 28 pages and deals in a very clear manner with policy, reducing carbon emissions, noise, air quality and waste. Figures for 2009 show almost a 3% improvement in fuel economy since 2007 and in the same period nearly a 6% reduction in aggregated CO2 emissions. 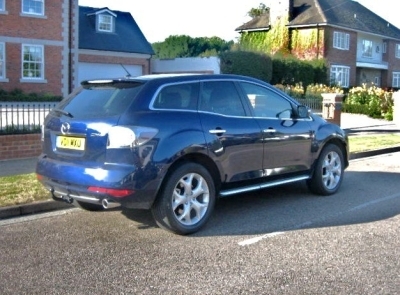 With people’s minds clearly set on 2012, and this the final motoring edition of AERBT before the turn of the year, it seemed a good time to report on the major autumn motoring event of 2011. Readers should note the dates for 2012 and be advised there are many other events on the Goodwood calendar and early booking for everything is advised. The FESTIVAL of SPEED is 28 June-1 July and the Revival itself 14-16 September. Over 138,000 motor sport enthusiasts and vintage fashion fans flocked to the 2011 Goodwood Revival (16-18 September) to join in the fun and celebrations at the world’s largest historic motor race meeting, which by common consent was deemed the best yet. The Goodwood Revival is firmly established as a ‘must attend’ event, with visitors travelling from around the world. The vast majority of the spectators came dressed in their finest 1940s, 1950s and 1960s fashions, with tweed jackets and pleated skirts aplenty in the early autumn sunshine, and occasional rain. On the track a tribute to the legendary racing driver Juan Manuel Fangio – 100 years after this birth – saw a grid of rare and stunning cars associated with his career, including three spectacular Mercedes-Benz racers, plus two Chevrolets bought over from Argentina specifically for the Revival. A handful of drivers who knew and raced with Fangio were also on hand. Additionally, Goodwood staged its largest ever Revival vehicle parade with 100 British-built Fords lapping the circuit as this popular marque celebrated its centenary in the UK. The 75th anniversary of the Spitfire aircraft was marked with a fitting and emotional tribute as 10 of these iconic machines took to the skies over Goodwood, with others on the ground, as Lord March paid tribute and the RAF Choir sang. A daily parade of motocross riders from the golden 1950s-60s era of scrambling also delighted the Revival spectators, as did the dedicated motocross course built especially for the event at Lavant Corner. The variety of racing machines and quality of motor racing was exceptional throughout the Revival weekend, with many nail-biting races and plenty of thrills – plus a few spills – along the way. 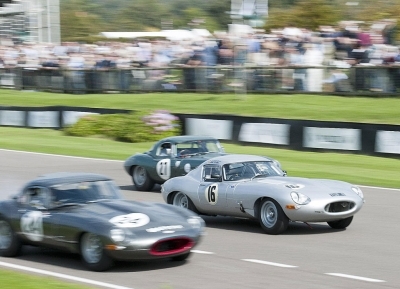 Racing highlights included Saturday’s Fordwater Trophy, which this year was awarded to the winner of the Jaguar E-type race to mark the 50th anniversary of this legendary sports car. The 1964 semi-lightweight E-type of Jon Minshaw and Martin Stretton took the chequered flag. The thrilling St Mary’s Trophy for 1960s saloon cars saw Richard Shaw anchor a brilliant overall win with track victory in Sunday’s second instalment of this two-part race in the 1965 BMW 1800 TiSA. Tom Kristensen and Kenny Brack took an emphatic win in the rain in the Royal Automobile Club Tourist Trophy Celebration race for GT cars aboard Daniela Ellerbrock’s Shelby Daytona Cobra. Duncan Fitchett and Jeremy McWilliams may have finished only fourth in the second part of the Barry Sheene Memorial Trophy motorcycle race but they were always going to win overall on aggregate after a brilliant showing in the Part One Saturday race. Some great vintage fashions included daily prizes being awarded to ‘best dressed’ male and female spectators, with finalists parading each afternoon on the Richmond Lawn car walk. Ladies Day on Saturday saw a particularly high standard of period dress, and helped seal the unique, fun atmosphere of the 2011 Revival. The recreation of a typical early 1960s British street scene, with a bus depot and High Street with a Tesco supermarket, clothes shops, the DeLonghi 2i coffee bar and period Kenwood kitchens proved to be hugely popular, with Revival shoppers coming over ‘all nostalgic’ at the sight of period packaging, household brands, live music and fashions that had long been forgotten. The 1950s-style Butlins was also a huge hit as the famous British holiday camp celebrated its 75th anniversary. The 1934 Hawker Fury Mk 1 was voted the Freddie March Spirit of Aviation pre-1966 aircraft concours d’elegance winner by a panel of distinguished judges, whilst a stunning dual-tone 1937 Bugatti Type 57SC Atalante – owned by William Ainscough – was the public’s choice for ‘the most beautiful car in the world’ in the Earls Court concours d’elegance out of 10,000 entries, with the 1961 Jaguar E-type roadster coming second. The 2011 Goodwood Revival was clearly a huge success, with Revival-goers already talking with excitement and anticipation about next year’s event. The 2012 Festival of Speed theme is ‘Young Guns – Born to Win’, celebrating drivers and riders and designers and engineers whose supreme talent and insatiable thirst for speed shocked the establishment, affording them immediate superstar status. 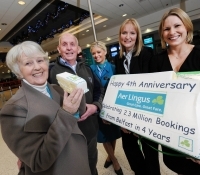 Last Saturday (10 December) Aer Lingus celebrated four years and over 2.3m customers to London and Europe from Belfast International Airport since operations began in 2007 and has captured 40% of the Heathrow market. Just over one million customers have flown on the flagship Heathrow route and over one-and-a-quarter million passengers to the continent and the UK regions. He added: “Even though all businesses are battling through an unprecedented period of global economic instability and uncertainty, our Belfast base is a continuing success story. Over the last four years we have received fantastic support here and we continue to meet our targets and deliver real choice and competition to the marketplace. The UK Treasury announcement last Tuesday on Air Passenger Duty (APD) turned out to be one of the biggest damp squibs in what has been, politically, the most depressing year ever for the air transport industry. Expectations were high for beneficial changes following the Prime Minster’s recent promotion of inbound tourism. As one wag put it: “Mr Cameron clearly wants to help Europe in its hour of need. Amsterdam and Paris airports must be rubbing their hands with glee, Frankfurt too, with its very low tax." There will be no change in the way the tax is calculated. Even those within Government must have been surprised. The previous evening a senior minister was promised for the launch of Sustainable Aviation Progress Report 2011 (see below), within the confines of the Palace of Westminster. Maria Eagle, Shadow Minister of Transport, very effectively represented the Opposition, but no member of the Government was anywhere to be seen. The outburst was predictable, but very strong. Lead customer Lufthansa and airframe manufacturer Boeing were last week conducting pre-delivery testing of the all new 747-8 Intercontinental at the airline’s main operations base at Frankfurt. Official delivery is due early in the New Year. The aircraft known to Boeing as RC021, is one of three that have served in the 747-8 Intercontinental flight test fleet. It has been specifically used to test interior systems such as heating and air conditioning, cabin lighting and systems and galleys. Lufthansa conducted a number of tests to help ensure a smooth integration of the newest member of the 747 family into its operations. Maintenance and engineering personnel rehearsed ground-handling processes. From today onwards (12 December) Gatwick Express users will have to become used to new ticket gates that have been installed at both London Victoria and Gatwick Airport train stations. Officially they are on test. The new gates will be staffed by dedicated Gatwick Express Customer Service Hosts. They will also be enabled to accept smartcard technologies in the future. This latest system means there will no longer be an option to buy a ticket once onboard the train. The operator says that more and more customers have been buying their tickets online due to the great offers available, and pre-purchase is now the favoured sales channel. As well as online, tickets can easily be bought at ticket machines and ticket offices at both Victoria and Gatwick airport stations. A number of airlines sell them on board. The newly created Gatwick Express Customer Service Hosts will also be on hand to sell tickets with their mobile ticket machines. As well as these new gates and the new staffing role, the non-stop rail service provider is installing eight new ticket machines at Victoria train station and Gatwick Airport train station. Antonio Vázquez, Spanish Chairman of the International Aviation Group (IAG – essentially British Airways and Iberia), was an impressive speaker at the Aviation Club’s end of year luncheon at the Institute of Directors. 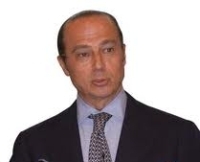 In a far ranging speech, and a plentiful question and answer session, he noted that the combined European airlines will make US$300m this year, a margin of less than 1%. IAG’s priority is the use of biofuel, and consolidation “there is still a lot to do”, he said, emphasising both. The Group’s objective is to strengthen its traffic situation between Europe and Asia, especially the critical markets of China, Japan or Korea. Africa is also a key aim for IAG. Increasing frequencies and opening new routes between Europe and Africa was a priority. Despite the recession, the UK hotel industry is continuing to expand with 106 hotels opening in 2011 (11,800 rooms) and a further 170 hotels (21,500 rooms) planned for 2012. 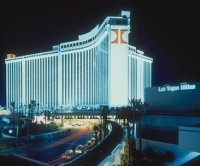 Since the present hotel building boom started in 2003, over 105,000 new rooms have been added to UK hotel stock. Just over half (55%) of the new-builds are in the budget sector. The figures appear in the British Hospitality Association annual industry review published last week. 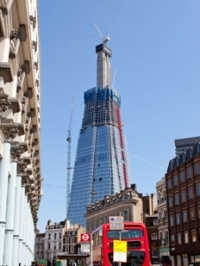 The hotel industry is continuing to be a tale of two markets, with London moving ahead with 81.8% occupancy for the year to September 2011 at an average annual achieved room rate (ARR) of £107.72. Hotels in the regions are lagging behind with 70.5% occupancy at an ARR of £48.27. Figures for the catering sector show that, despite the recession, the number of meals served in 2010 continued to increase in all commercial sectors, except pubs. Ufi Ibrahim, BHA’s Chief Executive, says that the key to the industry’s future is to remove some of the barriers to growth, the main one being the high rate in the UK of VAT on hotel accommodation, attractions and restaurant meals compared with other EU member states.